What is the law which allows the UK to detain or deport foreign terrorism suspects without trial - and how does it work? 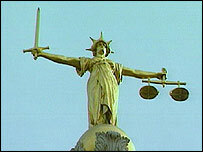 BBC News Online explains the background to a controversial and secretive court system. The Special Immigration Appeals Commission (Siac) is one of the most controversial - and certainly the most secret court within English law. It is the venue of appeal for foreign nationals facing detention, deportation or exclusion from the UK on grounds of national security. It has the same powers as the High Court and is presided over by senior judges. Siac's hearings and rulings are never fully revealed to the public - or to the appellant themselves - because they include testimony from members of the secret security services which the government says it cannot divulge. Siac was established after the government lost a case in 1996 at the European Court of Human Rights. It said the old system was not a proper and fair court because appellants or their lawyers could not hear all the evidence relied upon by the Home Secretary. Siac was designed to remedy this with a system of security-vetted lawyers, separate to the appellant's own legal team. Until the September 11 attacks, Siac was rarely used as deportations of this nature were few and far between. Parliament then introduced tougher anti-terrorism laws and opted out of an element of the European Convention on Human Rights. In practice, this means the Home Secretary can order the detention without trial of foreign terrorist suspects, even if he does not have enough evidence for a criminal trial. As soon as the law was passed in late 2001, 14 suspects were arrested. Two of these took the option to leave the country for good. 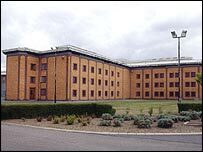 The remaining 12 were held at Belmarsh high security prison and began their appeals before Siac. The commission has one further responsibility. It must hear cases where the Home Secretary wants to revoke citizenship as a means to deportation. So far just one man is before the commission under this law - the radical Islamist preacher Abu Hamza. When the Home Secretary detains a suspect, he notifies the Attorney General that his decision is partly based on "closed material". This is shorthand for secret intelligence which may include reports of spying operations, phone taps or the testimony of informers deep inside terrorism organisations. The Attorney General then appoints one of the security-vetted "special advocates" (SA) to act for the appellant. The security-vetting is not a simple process. Investigations, conducted by both top civil servants and members of MI5, go deep into the background and family situation of the individual. The government wants to know that not only can the individual be trusted with the highly sensitive information - but there is no chance they can be blackmailed or coerced by terrorists. Once appointed, the SA has the right to see all of the secret evidence in the Home Secretary's hands. Under no circumstances can they reveal any of it to the appellant or his legal team. When the Home Secretary discloses the "open material" to the appellant's legal team, the special advocate is allowed to sit in on their strategy meetings and discuss the case at this basic level. The SA then pulls down a virtual shutter between themselves and the appellant and his legal team. Once this security is in place, the Home Secretary discloses all of his evidence, including the most sensitive intelligence material, to the SA. The Home Secretary's lawyers and the SA go before the commission and argue over whether any of this closed evidence should be opened. If Siac rules in the SA's favour to open some evidence, the Home Secretary must either disclose it or withdraw it. The commission cannot compel the government to hand over the evidence. How do the main hearings progress? The main case largely resembles a criminal trial. The appellant sits in the chamber as members of the security services or other witnesses give evidence, often from behind curtains to protect their identity. Organisations, places and events are named or described - but very few personal names are heard. The appellant and his team are then ordered to leave the court and the special advocate takes over. Behind closed doors, they are tasked with challenging the evidence in the secret dossier, but without taking instructions from the appellant. Once it reaches a decision, the commission issues an open judgement for the appellant and public and a closed ruling, taking in all the factors heard in secret. Are there further rights of appeal? One of the most controversial elements of Siac is that the Home Office designed the system to prevent appellants taking further judicial reviews of the Home Secretary's decision. If someone loses their appeal, they can only take their case further, theoretically to the House of Lords, on a point of law. But, in the biggest case to date, the Court of Appeal backed Siac's decision to release a man, saying the Home Secretary had no legal reasons to object. Is there any other oversight? Siac regularly reviews continued detention, although this is largely a paper exercise unless an appellant makes a fresh appeal. Parliament is obliged to regularly review and renew anti-terrorism legislation as it has done ever since special measures were brought in for Northern Ireland in the early 1970s. There is also a committee of Privy Counsellors who carry out a rolling audit, led by the Liberal Democrat peer Lord Carlisle. Its first report called on the government to scrap indefinite detention without trial. It also called for a review of evidence disclosure rules and suggested a new model for terrorism cases which would remove some of the secrecy. But Siac remains deeply controversial? Yes. Critics of the system say the special advocate is hamstrung because they cannot build a proper case without being able to discuss the evidence with the appellant. Amnesty International says the commission's judgements rely on a "shockingly low burden of proof" because evidence cannot be tested to the same standards in the criminal courts. It has also warned Siac may breach international law by relying on evidence extracted by the US security services in conditions which it says amount to torture of suspects.